Dubai, UAE, 18 March 2019: Enjoy a lively girls’ night out with a twist at The Pointe at Palm Jumeirah – Dubai’s dynamic new waterfront dining, entertainment and leisure destination. Ladies, go restaurant hopping with the girls and sample an array of distinct cuisines, complimentary drinks and dining discounts every Thursday until 30 April. Hop across six unique venues – Seafood Kitchen, Asian District, Fitzroy, Fat Chow, La Palapa and Mama Pho – and enjoy four complimentary drinks and 25 per cent off food per person at each restaurant from 8pm. Enjoy magnificent views of the turquoise waters of the Arabian Gulf against a backdrop of upbeat music, delicious cuisines, a wide selection of drinks and great company. 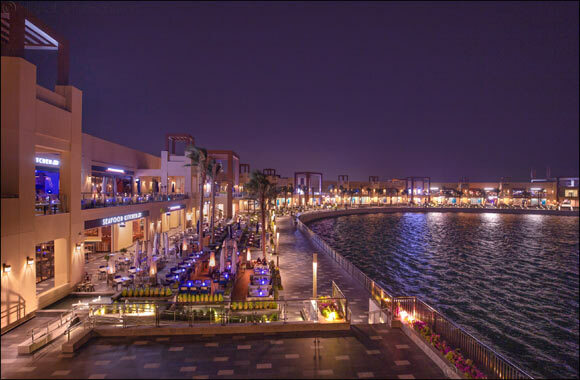 With 70 restaurants, shops and attractions offering something for all tastes, ages and nationalities, The Pointe is Dubai’s new hub for seafront dining, shopping, socialising and relaxation.